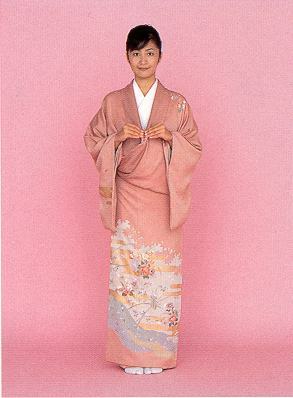 1) Wear the kimono and hold the Eri at about 1/3 from the ends. 2) Hoist what you are holding until the Suso bearly touches the floor. 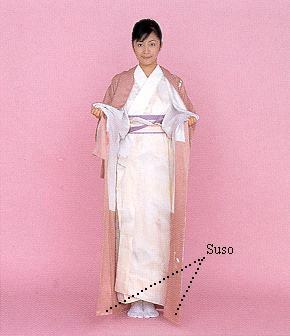 3) Determine the width of Uwamae so that the left seam comes to the center of the side of your body. 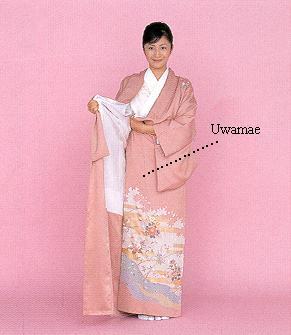 4) Spread the Uwamae (but remember the width of Uwamae). 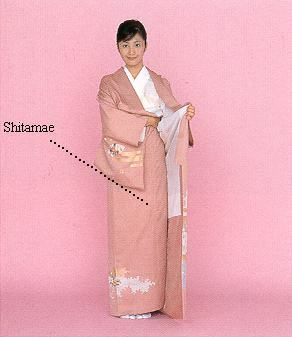 Pull up the Shitamae (so that it would be higher at the left than at the right) and determine the Shitamae. 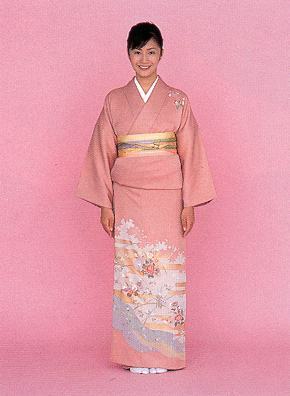 5) Pull up the Uwamae (so that it would be higher at the right than at the left) and determine the Uwamae. 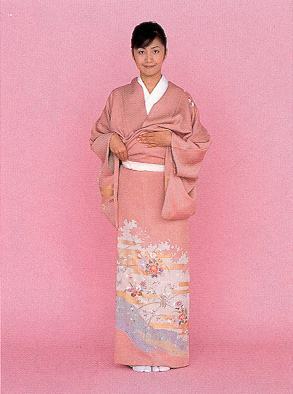 Make the Uwamae touch your feet. 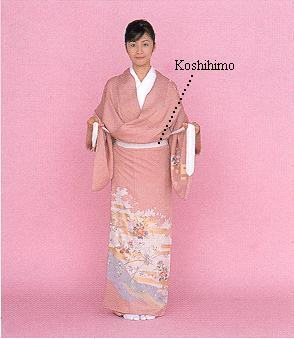 6) Hold the Koshihimo with your right hand and get it crossed at the back on your hip bones. 7) Tie Koshihimo like a bow but with only one loop. 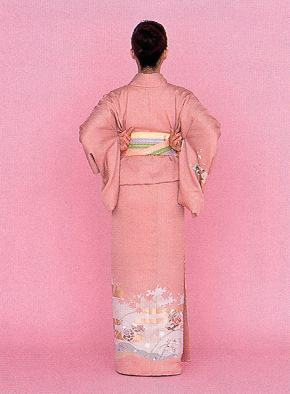 Tuck the ends and the loop underneath the Koshihomo. 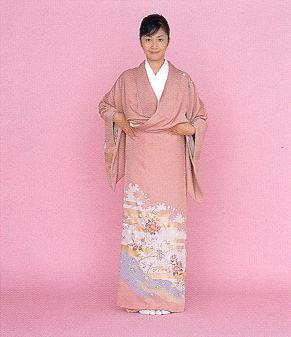 8) Insert your hands into the Miyatsuguchi and straighten the Ohashori of both Uwamae and Shitamae. 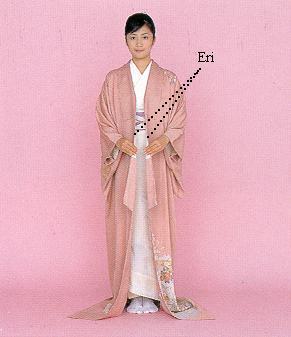 9) Straightened the both Eri so that the center back comes to the center of your back. 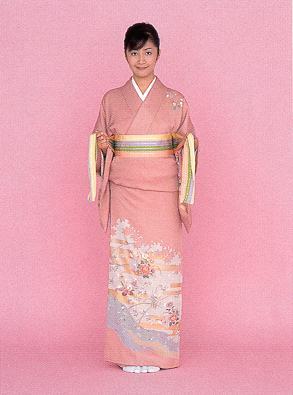 10) Along the Nagajuban’s Eri, determine the Shitamae’s Eri. 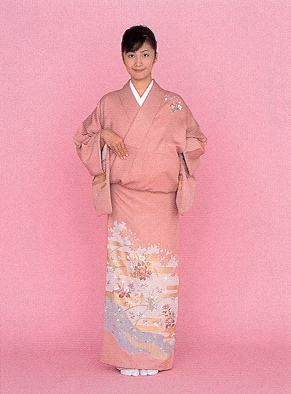 Insert your left hand into the Miyatsuguchi and hold the Shitamae. 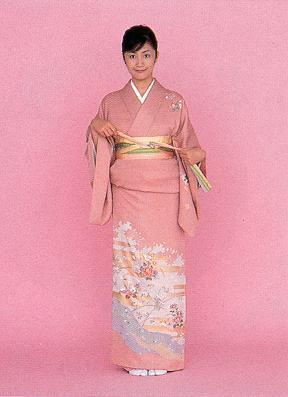 Hold the Uwamae with your right hand and straighten the both Eri. 11) Hold the center of the Datejime with your right hand and bring it to the left with your left hand. 12) Cross it in the back and bring the ends to the front. 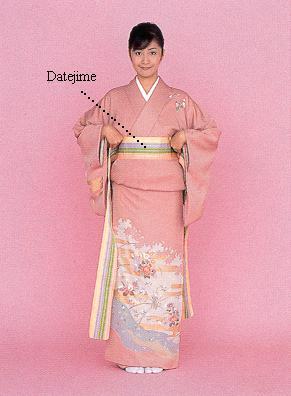 13) Tie the Datejime once and turn the ends to the other direction. 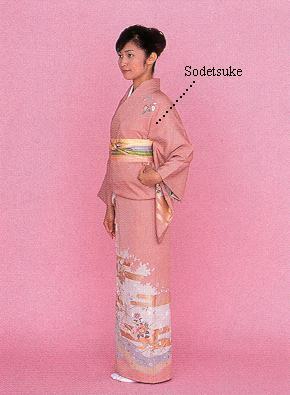 14) Tuck the ends underneath the Datejime. 15) Remove the wrinkles from the back. 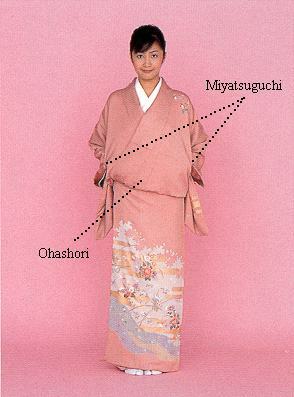 16) Pull the Miyatsuguchi from underneath the Datejime and straighten the Sodetsuke. 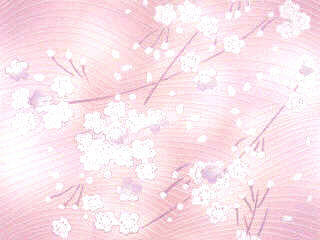 Go to the Catalog on the Web. 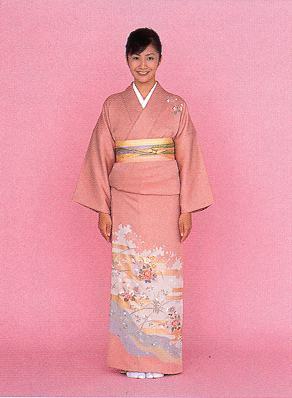 Go back to Japan Culture Club Home Page.